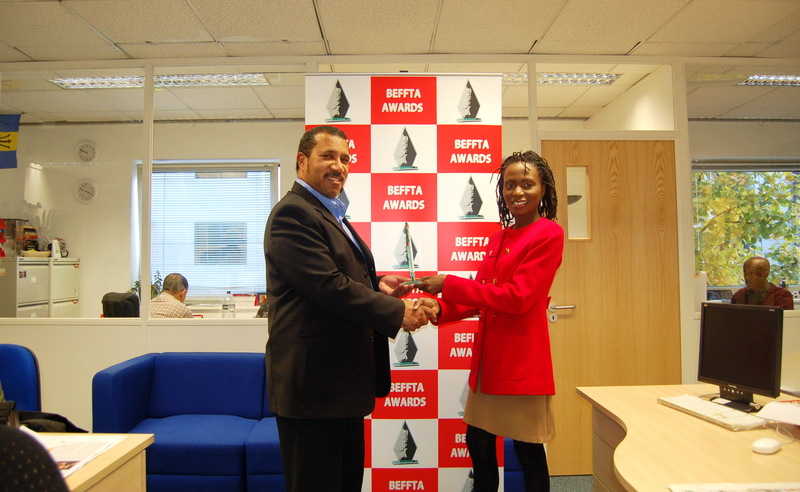 UK’s biggest black newspaper The Voice was awarded the BEFFTA Best Community newspaper at the just concluded 3rd annual BEFFTA awards red carpet ceremony at the Light House, London on 22nd October 2011. The prestigious international awards ceremony that celebrates achievements of black and ethnic personalities in entertainment, film, fashion, television and arts was attended by a host of stars from UK, USA and other parts of Europe. Pauline Long presented the award to The Voice Newspaper managing director George Ruddock at their busy London offices.